The Aston Martin has origins dating back to 1914 and production dating to 1921, a record for specialist automobile producers. Few companies have had such a long, independent life as Aston Martin. 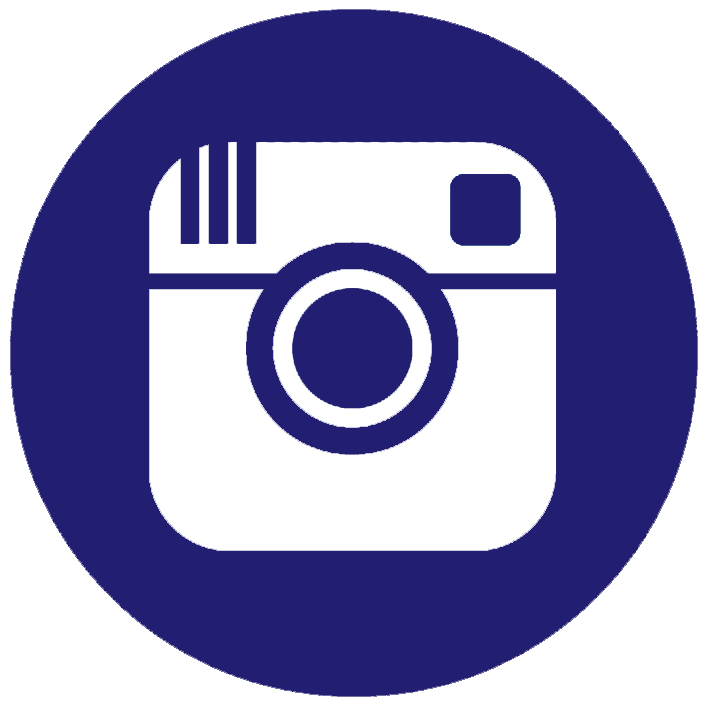 Founded by Lionel Martin and Robert Bamford in 1913, the company has devoted itself to the highest-quality sports and touring cars with a focus on racing. With each reconstitution as a company, the founding goal was reaffirmed and enhanced. The prewar cars are beautifully made with elegant low lines. The postwar cars through the DB2/4 Mark III retain a very strong identifying look and a unique mechanical description, essentially sporting in feel. The later production cars beginning with the DB4 are splendid grand touring machines able to challenge any rivals. The Aston Martin, of whatever vintage, is a pleasure to drive and always a thoroughbred. It is a car that rewards skill. Some models are blindingly fast; all are beautifully made. The survival of Aston martin as a high quality, low volume prestige car maker throughout the post war highs and lows of the British motor industry is a matter of no small wonder. It has been on the brink of extinction several times. This most British marques still thrives today is due not only to the image and quality of the product, but also to the character of the men who have influenced its fortunes over the years. Paradoxically, given its fluctuating fortunes during several changes of ownership, the post war history of Aston martin is characterized by a strong sense of continuity, especially in engine, chassis and body work design. We Are Classic Aston Martin Buyers:Buying Classic Aston Martins in any condition is what our team does best. 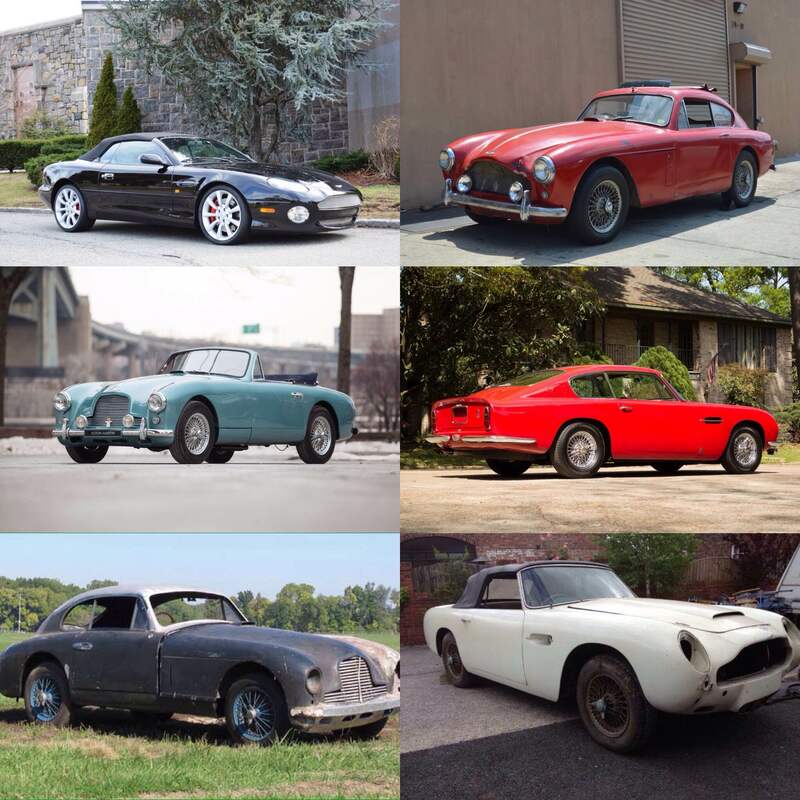 We Buy Classic Aston Martins in any condition, from it being in showroom condition to being buried in dirt and dust in a garage, barn, or sitting outside on your yard for decades. You can trust our company because we have over 30 years of experience in being professional Buyers in the Classic Car Industry. We will be looking forward to hearing from you, ask for Peter Kumar. 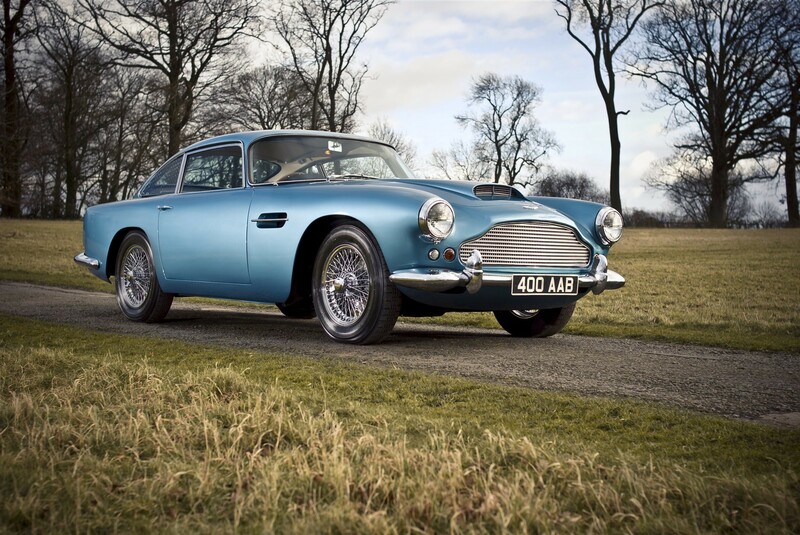 We will to assist you in Selling Classic Aston Martin! One of the best part of our company is that no matter where in the US you are located, if you have a Vintage Aston Martin For Sale, call us and we will be right at your service. We make selling easy and simple for you by paying you instantly, picking up car and making transportation arrangements at our expense. 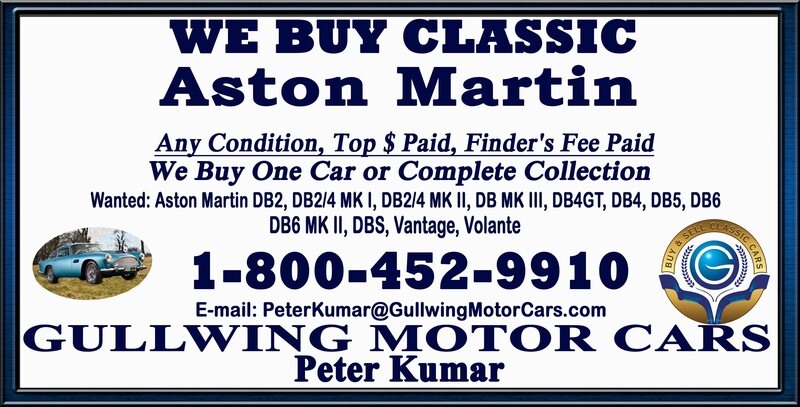 If you, your friend or family, or someone in your neighborhood is looking to Sell Classic Aston Martin, call Peter Kumar now. We pay top dollar and gladly pay finders fee. 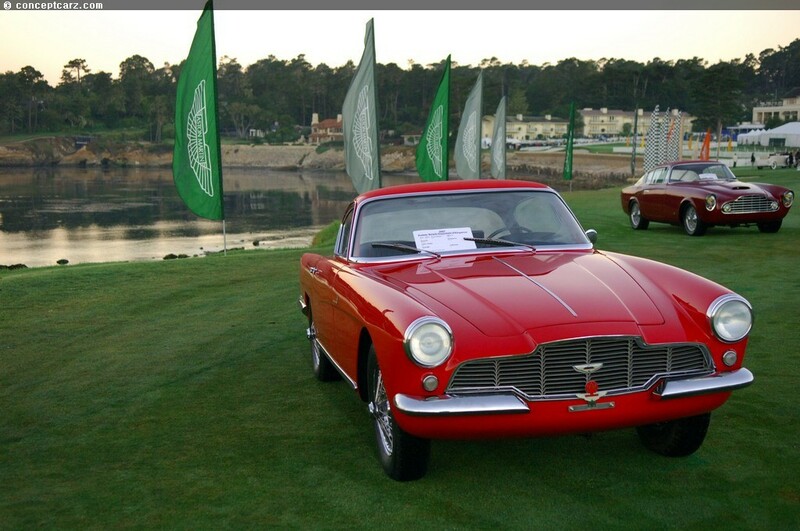 Gullwing Motor Cars will be looking forward to hearing from you; provide us a chance to do business with you!